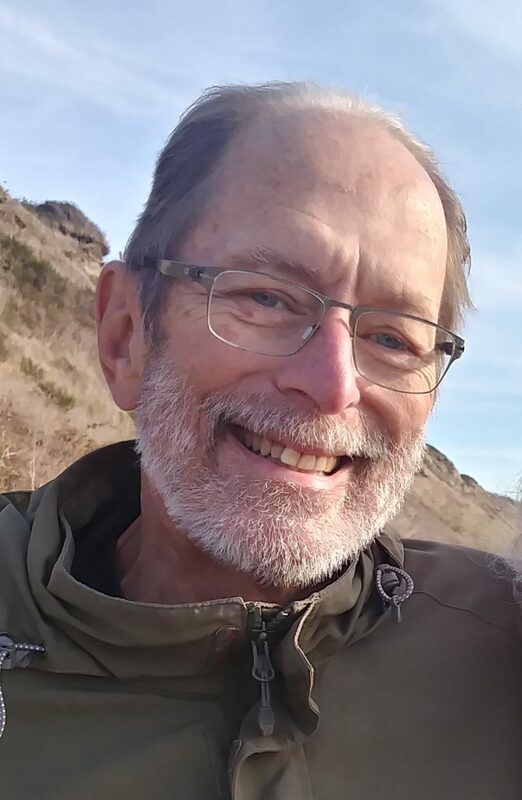 Edwin Charles Walker, beloved husband, father, brother and friend to many,passed into the other realm on Sunday, Jan. 20, 2019 after 22 months of bravely fighting pancreatic cancer. He was 69 years old. Ed was a calm, accepting spirit who forgave easily and shared love through music, food, gentle words and kind smiles. Edwin was born in Tallahassee, Fla., on Oct. 18, 1949 to Lois Inklebarger and Charles Hart Walker. He grew up alongside sisters Ann and Carolyn in a family that loved people, celebrated music and education and was active in their Baptist church. He lived in Tallahassee until age 12, when his family moved to Miami, trading the cypress swamps for the sunny warm beaches of southern Florida. He graduated from Miami Edison High School, where he was student council president and was awarded the prestigious Julian Daniel Award for leadership and academic excellence. They moved to Albuquerque, N.M., and Ed finished a degree in elementary education at the University of New Mexico. He then completed a Masters degree in deaf education at Lewis and Clark College in Portland. Ed quickly became fluent in sign language. He taught at the Oregon School for the Deaf and continued working with deaf children at La Conner Elementary School. In 1990, Cindy and Ed moved to Coupeville and have built a wonderful life here. Ed loved the Coupeville community. He volunteered with the Coupeville Lions Club for many years, helping with many projects, including the Lions swim program, but he was most proud to serve as the chair of the scholarship committee. He also loved his work. Ed taught remedial math and reading in the Oak Harbor School District for 23 years. He was active in the teacher’s union, passionately advocating for both teachers and students. Ed was an avid reader, especially of Scandinavian crime novels and collections of short stories. Music was also a big part of Ed’s life. Ed loved listening to LPs on his stereo speakers purchased in 1975. He was always open to Carrie and Andy’s music, though he really just wanted to listen to Leonard Cohen, the Beatles, and James Taylor. He loved singing and would share a song with anyone, even his ambulance driver! He was one of the first members of the Shifty Sailors and toured Europe with the group multiple times. He sang with the classical choral group Sing!chronicity and in multiple choirs on Whidbey. Ed gave us all the gift of loving kindness. The last thing he said to his family was “All you need is love.” This is truly how he lived his life, with the belief that love forgives, strengthens and heals. Ed will be deeply missed by his beloved wife, Cindy Van Dyk; his children, Carrie Ann and Andrew Charles Walker; his mother Lois Walker; his sisters, Ann Edwards of Akron, Ohio and Carolyn Moss of Eugene,Ore. He is dearly loved by his nieces and nephews, Cindy’s large family and numerous friends and colleagues. In lieu of flowers, please consider donating to the Ed Walker Memorial Scholarship for local high school seniors in care of the Coupeville Lions Club, P.O. Box 473 Coupeville, WA 98239. Please join us for a Celebration of Life Potluck at the Nordic Hall, 63 Jacobs Rd., Coupeville, on Feb. 9. We will gather at 4 p.m. and have a Remembrance at 5 p.m. with food, drink, music and merriment to follow.